SEO stands for Search Engine Optimization and is extremely important when it comes to managing your business’ online presence. Search engines rank webpages according to relevancy, displaying content that best fits what the user is searching for. As opposed to paid advertising (PPC), SEO focuses on heightening the visibility of your website in a search engine’s unpaid, or “organic”, results. Why is Search Engine Optimization (SEO) important for your website? Without proper SEO, it’s almost impossible to get found among the vast amount of websites that exist and even a great looking website can receive almost no traffic. Back in the day when search engines were in their primitive stages it was much easier for a website to receive a high ranking. However, as the Internet grew and search engines became more popular, Google and other major search engines have developed highly elaborate algorithms in order to refine search engine results to what people are really looking for. When developing website content, you want to make sure you include keywords and phrases that people use to search for the services your business offers. While this may not seem like a difficult task, it is very important to use keywords the right way on your website because improper SEO techniques can be detrimental to your website’s search engine rankings. 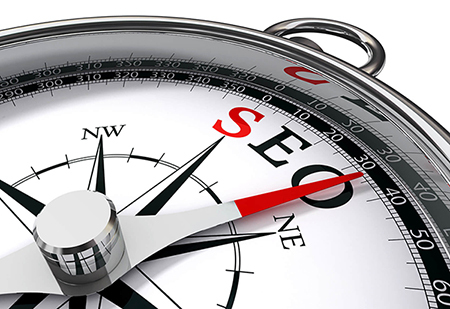 At Team Web USA, our SEO experts located in Houston TX will utilize proven techniques to increase your search engine rankings and boost your sales. To accomplish this, we conduct an in-depth SEO analysis of your website so we can see what areas of the webpage need improvement. We will then do keyword research to see which keywords will work the best for your business and lead to more web traffic. From this research, our writers can create SEO-friendly content for your site that increases your relevancy with search engines and engages your potential customers. If you want your Search Engine Optimization done the right way, contact our Team Web USA experts at 832-779-8315 and we’ll come up with strategy for your business to outrank your competitors! What does PPC mean and how does it work? PPC stands for Pay Per Click and is a form of paid advertising for online marketing. With over 1 trillion websites in the world and growing, it’s not enough just to have your business somewhere online. To be competitive, one must actively have their information where online traffic exists. PPC campaigns help you get more traffic and exposure by displaying your ads to relevant people searching for your product or service. As the term Pay Per Click implies, you only have to pay when someone actually engages with your ad. Google AdWords is the world’s most popular Internet advertising platform, generating more leads and sales than any other. Considering that every business is different and marketing goals vary, Google made it so AdWords campaigns have a lot of flexibility and can cater to whatever marketing budget you may have. Whether your business is local or global, we have the ability to target whatever locations you’re looking to generate leads from. Since you have control over which keywords you use with paid advertising, your campaigns lead to more targeted traffic than organic search results. In addition to your ads being displayed on Google, you have the option to let Google display your ads to their search partners that receive significant amounts of traffic, such as websites like CNN, Food Network, AOL and thousands of others. At Team Web USA, our online marketing experts utilize their knowledge of PPC platforms to produce results for whatever marketing goals you may have. In addition to Google AdWords management, we are qualified to run paid social media campaigns on platforms such as Facebook and Twitter. By using a variety of PPC platforms, a business can maximize the amount of online exposure they receive and generate more revenue from increased website traffic. To get a better understand of your business, we use our resources to perform targeted keyword research and competitor analysis. By figuring out what keywords relate the most to your business and analyzing what your competitors’ are doing with their paid advertising, we can develop PPC campaigns that are optimized for your specific industry. Operating out of Houston TX, we at Team Web USA promise to provide superior online marketing services through our knowledgeable professionals that reside right here in the United States! If you’re ready to learn more about how to increase your online presence and conduct successful PPC advertising campaigns, please contact Team Web USA at 832-779-8315 so we can advise you on making the correct marketing decisions for your business.